You Are Here: Home > Sell Your Car to Us! Looking for a place to sell your car? 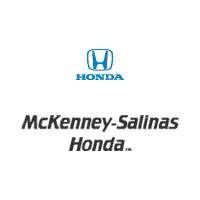 At McKenney-Salinas Honda, We Buy Cars! The best way to sell a car in Gastonia and the greater Charlotte area is to visit our dealership. We will buy your used car at a great price. Just bring in your used car and we’ll make sure you leave with cash in hand. Worried about the condition? Don’t, because we pay cash for junk cars as well as lightly-used vehicles. Selling a car has never been easier!